AL-KHALIL, (PIC)-- The Palestinian prisoner society said the Israeli occupation forces (IOF) kidnapped 88 Palestinians from Al-Khalil city alone during December 2012. "A spirit of extreme revenge and hostility was clearly noticed when the soldiers dealt with the detainees during their arrest, and there were obvious signs of sadistic and fanatical behavior in the way of detention, interrogation and treatment," the prisoner society said in a report on Sunday. "[The Israeli soldiers] violated the international humanitarian law and all human, moral and religious values when they assaulted the detainees with rifle butts, severely beat them, used the policy of destruction and detonation [during their raids on homes] and locked up families in one room of their houses," the center added. The center also said it documented the arrest of 12 children under age 18, most of them were taken to Etzion detention center near Bethlehem city where they endured harsh incarceration conditions. 14 of the total reported detainees were transferred to administrative detention without any charges and 28 others are either school or university students who missed their final exams because of their arrest during the month, according to its reports. It added that more than 30 detainees were transferred to different interrogation centers, while the Israeli military court of Ofer kept stealing money from the detainees through imposing illegally heavy fines against them. RAMALLAH, (PIC)-- The Israeli occupation forces (IOF) rounded up 82 Palestinians from various West Bank areas over the past week, a report by Hamas said on Sunday. It pointed out that most of the detainees were from occupied Jerusalem, 23, followed by Al-Khalil, 22, then Nablus, 14, and Ramallah, 8. It added that five were taken from Bethlehem and four from each of Jenin and Qalqilia and two from Tobas. The report underlined that two university students were among the detainees in addition to 15 minors in the age category 13 – 18. A report issued by the Arab Organisation for Human Rights in the UK (AOHR) has highlighted the abuse of such rights by the security agencies operated by the Palestinian Authority. At the time when Palestinians are living under the disastrous Israeli occupation, the report states, their basic rights are "undermined" by the "arbitrary actions" of the PA security services. Noting that the PA administration is "corrupt", the AOHR claims that the current dire economic circumstances facing Palestinians, especially in the occupied West Bank, divert attention from the abuses of the Palestinian security agencies in collaboration with their Israeli counterparts. The report covers the period January to July 2012 during which the AOHR monitored political detentions, summonses, torture, degrading treatment and employment dismissals affecting Palestinian men and women. The research was based on information derived from the victims who were detained, their families, eye-witnesses and some NGOs. It also relied on reports issued by the US Congress and documents issued by the European Union Police Mission which show the amount of financial aid provided to Palestinian Authority security agencies. A sample of 300 detainees was asked questions about their detention by the PA as well as by the Israelis; the impact of detention on their lives; and the impact on the Palestinian issue. In order to reveal the extent of the catastrophe, it was necessary to place research outcomes in the context of violations by Palestinian Authority security bodies over the past five years. The data collected from June 2007 to the end of 2011 indicates that PA security forces detained 13,271 Palestinian citizens, 96 per cent of whom were subjected to various methods of torture resulting in the killing of six detainees and chronic illness in others. "Ninety-nine per cent of the detainees had experienced detention by the Israelis after which they were also detained by the PA on the same charges," the report states. "In the same period the Israeli army carried out detention campaigns and raids resulting in thousands of Palestinians being detained; 9,765 according to official statistics, most of whom had also been detained by the PA in the past." They were generally charged based on confessions extracted under torture by PA security officers, it is alleged. Since the beginning of 2011 the PA is supposed to have eased political detentions and ended systematic torture, but the AOHR claims that the data collected in 2012 suggests that that has not been the case. "A campaign of summons and detentions has taken place, with most of the detainees having already been detained by PA and Israeli security agencies for prolonged periods." Between January and July 2012, PA security agencies detained 572 citizens and summonsed 770 more, among them women and old people, who were often forced to wait from early morning to the evening before being "interviewed". Some were "summonsed" daily for weeks on end, while others were kept under virtual house arrest. The period also witnessed raids against universities, hospitals and houses in order to arrest people wanted for protesting against the Israeli occupation. "The PA officers confiscated equipment and personal cash, which often went missing after the searches," claims the AOHR. The exact number of detainees in PA prisons is unknown; it fluctuates between 40 and 85. The various PA security agencies have about 43 centres at their disposal, ranging from the Central Prison to detention stations. Security tactics include the dismissal of employees from their jobs as a form of harassment. "At least 73 people were made unemployed in the period under review," says the report, "and it is estimated that around 3,200 have faced the same injustice since 2005." Harassment also includes students with "security records" being unable to find employment, acquire a driving licence or open a business, it is alleged. The AOHR notes that the PA's security activities are routinely carried out following full coordination with the Israeli occupation authorities. In the same period, the Israelis detained about 1,300 Palestinians, 30 per cent of them children. Jerusalem and Hebron saw the most detention operations, with 550 citizens detained in Hebron and 80 children in Jerusalem. "It's worth noting that detentions and summonses executed by the PA security agencies surpassed those of the Israelis." Despite the "grave human rights violations by the PA security agencies", they continue to be supported by the US and EU. "According to the documents which were obtained, the US has provided generous assistance estimated at $658.4 million since 2007," claims the AOHR. "For the coming financial year of 2013, the Obama administration has demanded an additional $70 million." The US also undertook to train 6,000 personnel. "Thus far, eight battalions have been trained, each one consisting of 500 officers." As for the EU, the AOHR records that it has allocated through the European Union Police Mission an estimated $9 million for training the PA police and development of the criminal justice department. Around 7,500 police officers have already been trained. The human rights group expresses its astonishment that the PA should, in the shadow of the Arab Spring, "cultivate its own system of impunity, in total defiance of its people's demands for freedom and dignity". The PA, continues the AOHR, seems to be oblivious of the factors which led to the downfall of the tyrannical regimes across the region. "There is absolutely no justification for its acceptance of becoming a sub-contracted security tool of the Israeli occupation, crushing at every opportunity the legitimate aspirations of their people for freedom and self-determination." Indeed, the AOHR goes further, alleging that the PA's human rights violations against the Palestinian people have amplified their suffering under the Israelis and "undermined" their national struggle for self-determination. "It is clearly obvious that the PA hasn't learnt from its experiences with the Israelis or from the uprisings in the Arab lands," it states. "On the contrary, it remains firmly committed to its campaign of detention and destroying national solidarity while serving foreign agendas which strike the Palestinian national freedom project at its core." As the Palestinian Authority now has observer status in the UN, the AOHR points out, it is necessary for its leaders to be obligated by the international laws and conventions which protect human rights in the times of war and peace. "The state which emerges from under the occupation must be built on the rights of Palestinians to life and freedom." In conclusion, the AOHR insists that after the latest Israeli offensive against the Gaza strip, all forms of security cooperation between the PA and the Israelis have to be stopped. The organisation pins the responsibility for these "human rights violations" on the Palestinian President Mahmoud Abbas and calls on the Secretary Generals of the UN, Arab League and the Organisation of Islamic Cooperation to put pressure on Abbas to stop all political detentions which, it is claimed, "damage the rights of all Palestinians". GENEVA, GAZA, (PIC)-- A European human rights organization issued a detailed report about the child victims from Gaza, killed by the Israeli forces during the recent aggression on the Gaza Strip. The report issued by the Euro-Mediterranean Observatory of Human Rights today, pointed out that the Israeli forces killed 41 Palestinian children, including seven infants and 21 under the age of ten, during the military operation which was launched on 14 November following the assassination of a military commander in the armed wing of Hamas. It added that the figures and indicators collected by the observatory, in terms of the number of victims and the raids on the Strip, show that this aggression has been the largest since the end of the 2008 war, and noted that the vast majority of victims were civilians. The report presents the facts in seventy pages that include live testimonies of the eyewitnesses, the families of the victims and the medical crews collected by the Observatory delegates. The Euro-Mediterranean Observatory considered targeting children by warplanes as the biggest crime against humanity, noting that the Israeli forces had been repeatedly targeting the children during the recent military operation on the Gaza Strip, which had lasted eight days. It also noted that, through the observations and the testimonies of the victims' families, it is seeking to form a database on the occupation violations of international law in the Gaza Strip, during the period between the 14th and 21st of November 2012, and to prosecute the Israeli leaders involved in these flagrant violations of child rights in the Palestinian occupied territories. The Observatory's report called on the competent committees of the UN Human Rights Council to launch an immediate investigation into the deliberate targeting of Palestinian civilians. Palestinian armed groups in Gaza violated the laws of war during the November 2012 fighting by launching hundreds of rockets toward population centers in Israel. Under international humanitarian law, or the laws of war, civilians and civilian structures may not be subject to deliberate attacks or attacks that do not discriminate between civilians and military targets. Anyone who commits serious laws-of-war violations intentionally or recklessly is responsible for war crimes. targeted civilians or they sought to justify the attacks by calling them reprisals for Israeli attacks that killed civilians in Gaza. On November 18, for example, the al-Qassam Brigades announced that it had launched a Fajr 5 at Tel Aviv “as a response for the ongoing aggression against Palestinian people.” The Nasser Salahaddin Brigades stated on November 10 that it had launched four rockets at Israeli communities close to Gaza as a “revenge invoice” for Israeli shelling that had killed four Palestinian civilians. During the November fighting, Palestinian armed groups launched rockets that reached further into Israel than ever before, with eight rockets reportedly striking or being intercepted in the Tel Aviv area and three near Jerusalem. Hamas' al-Qassam Brigades stated on November 22 that armed groups during the fighting had launched 12 long-range rockets, one toward the city of Herzliya in the Tel Aviv district and three toward Jerusalem. Israel's Internal Security Agency (ISA) said that about half of the rockets fired into Israel were short range, reaching up to 20 kilometers; slightly less than half were medium range, reaching 20 to 60 kilometers, and less than 1 percent were long range reaching over 60 kilometers. The Israel Defense Forces said that its “Iron Dome” anti-rocket defense system intercepted more than 400 rockets during the November fighting. Of the rockets that hit Israel, the vast majority landed in open areas, causing no injuries or damage. The Guardian newspaper quoted an Iranian military official's statement to Iranian media that Iran had not supplied rockets but had provided technical information to Palestinian armed groups that enabled them to build their own Fajr 5 rockets. The Fajr 5 has a reported range of 75 kilometers, capable of reaching the Tel Aviv metropolitan area from Gaza, with 90 kilograms of explosives in its warhead. A statement by Hamas's al-Qassam Brigades claimed responsibility for launching five Grad rockets at Kiryat Malachi that day at 7:50 a.m. The Israeli emergency medical service, Magen David Adom, said that during the November fighting, medics treated thirty-eight civilians wounded by rockets, three of them severely and four of them moderately. The wounded included a 50-year-old man in Ashkelon, whose foot was traumatically amputated by a rocket blast; a man in Ofakim who was severely wounded when a rocket hit the car in which he was riding; and a 43-year-old man in the Zeelim area who suffered severe injuries to his upper body from rocket shrapnel. The things in the house flew around, doors were blown out, the whole building shook. A splinter from the rocket flew past and scraped my throat. After the explosion we couldn't see a thing; it was all full of smoke and dust. A [concrete] block from upstairs hit my shoulder, and another hit the back of my hip. Rockets also destroyed civilian property including homes and schools. 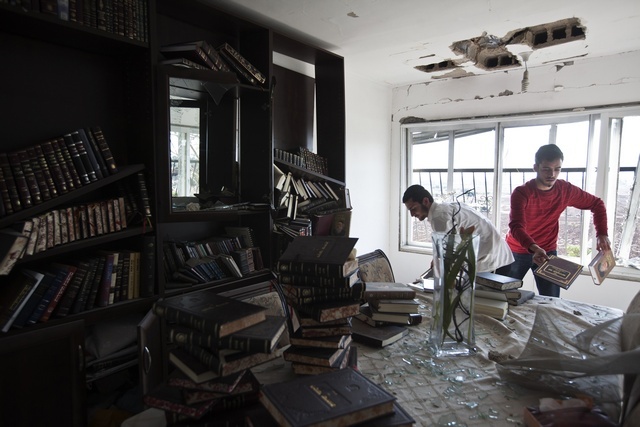 On November 20, a rocket tore the roof off a school in Ashkelon. Human Rights Watch has repeatedly condemned indiscriminate rocket attacks on Israeli population centers, as well as Hamas' failure to hold anyone accountable for those attacks. Human Rights Watch reiterated those condemnations. The November 14 to 21 hostilities between Israel and Hamas and armed groups in Gaza involved unlawful attacks on civilians by both sides. Four Israeli civilians and at least 103 Palestinian civilians died during the fighting. The fourth Israeli civilian, an Israeli Bedouin named Alayaan Salem al-Nabari, 33, was killed on November 20 in a mortar attack in the Eshkol Regional Council area that reportedly wounded several soldiers. According to the Israeli Ministry of Foreign Affairs, he was accompanying his cousin who works for a company that builds tents for the military. On November 15, at around 8 a.m., a “Grad” type rocket struck the top two floors of a four-story apartment building in Kiryat Malachi, a town of 20,000 people 25 kilometers north of Gaza. The rocket killed Aharon Smadja, 48, Mira Scharf, 25, and Yitzhak Amsalem, 24. The blast wounded Scharf's husband, Shmuel, and the couple's 8-month-old boy. The rocket also wounded Boris Chorona, 52, a deliveryman who had been standing outside the building. Smadja, a rabbi, lived on the third floor of the building with his wife and their four children, his cousin Rachel Gueta told Human Rights Watch. Gueta, who spoke with residents of the building, said that a warning siren sounded – Israel's “Color Red” system, which alerts residents of incoming rockets – and that Smadja, his wife, and children went downstairs to a designated protected area inside the building. Smadja then heard Amsalem's mother calling her son to come to the protected area, and Smadja went upstairs to get the younger man. The men were reportedly killed while standing next to a window in Amsalem's apartment. Chorona, a furniture deliveryman from Tiberius, was standing outside the apartment building when the rocket hit. Chorona's daughter-in-law, Roxanna, told Human Rights Watch that he was “waiting by the [delivery] truck” when shrapnel from the rocket almost completely severed his hand. Doctors “saved his hand but it doesn't function,” she said. “A splinter from the rocket hit the nerve. He can't work. He needs his wife's help to shower and eat.” The rocket also badly damaged the truck. We ran into the shelter [in the hallway outside the apartment], all six of us. Then we heard a huge explosion. I went out of the shelter but couldn't see a thing. The electricity was gone, and everything was full of smoke and what looked like fire, so we went back in. Only when someone came to get us and we left the building did I understand it had been my apartment. The rocket was in my house ­– it hit my house directly. The whole place is in ruins; almost nothing is left. We managed to get just a few things out. The kids saw our house on television; they saw their shelter, their toys. They asked their grandmother, “Grandma, will you also not have a house soon?” Kfir Rosen, a 26-year-old employee of the Rishon LeZion municipality, lived with his parents and brother on the second floor of the building. His parents were not home at the time. Rosen told Human Rights Watch that he heard the “Color Red” early-warning siren and warned his brother to go to their shelter, but his brother said that he wanted to see the rocket intercepted by Israel's “Iron Dome” anti-rocket missile system. He told Human Rights Watch: “I asked myself, ‘What's the chance that the rocket will actually fall on me of all places?' and we stayed on the balcony. The siren stopped, and about 20 seconds later we heard an enormous boom.” He said that pieces of his building struck him in the shoulder and hip. Rosen said that the rocket “made a big hole in the balcony on the third floor above mine, and then fell down to the neighbors' lawn. Even the apartments in the adjacent building were damaged by the blast.” He said police “only gave us minutes to retrieve a few things” from the building, because “they say the upper floors might fall down, the structure isn't safe.” Rosen and his family are living in a hotel while the building is repaired. We don't have a shelter at home, so they were all hiding in my room, which is on the bottom floor and has fewer external walls. We had two floors, and the top floor is what saved my family. An iron beam stopped the rocket; it exploded on the top floor. A brick flew and hit my mother in the head. When I arrived at the house, it was just awful. I didn't know that this is what a rocket does to a house; the news doesn't really show you. My little sister's room doesn't have a ceiling anymore. My niece started to wet her bed. After that, when there were [rocket] sirens, she'd go into the shelter shaking and crying. Rockets struck Ashdod repeatedly during the fighting, including rockets that hit a residential area on November 16 and a store on November 20. “We couldn't leave our houses for a week; we were constantly in the shelters,” Shirly Seidler, 25, a journalist with Yedioth South who lives in Sderot, told Human Rights Watch. Residents have 10 to 15 seconds after the rocket siren sounds to enter a protected space, she said. We ran to the shelter when we heard the siren, then heard two really strong blasts that made the house shake. It had hit the house across the street from ours. There were gas balloons where the rockets had fallen, and we thought we'd have to evacuate. We were running around barefoot in our pajamas, and there were a few moments of real panic, with ambulances, police, police sapper units, and bulldozers digging out the rocket. Many Sderot residents moved away due to fear of rocket strikes. “I know a lot of people with children who got up and left” during the fighting, Seidler said. In response to questions from Human Rights Watch, the Ashkelon municipality spokesperson said that 36 rockets struck the city during the November fighting, and that Israel's “Iron Dome” system intercepted an additional 60 rockets that would otherwise have hit. Rockets seriously damaged the Mekif Bet and Ronson schools in the central Kiryat Hachinuch area. Shrapnel from the rocket traumatically amputated a man's foot near Zipora House, a building across the street from the Rambam religious school. Shrapnel also penetrated and severely damaged the car he had been driving, the spokesperson said. RAMALLAH, (PIC)-- Israeli occupation forces (IOF) rounded up 900 Palestinian children in the course of 2012, a Palestinian human rights report revealed on Sunday. The official report said that the number of children in 2011 was 700, pointing to an increase in the number of minors arrested. The report said that the children are beaten and ill-treated since the early moments of detention, adding that 95% of those detained were assaulted during the arrest, which mostly frequently takes place in between 2 am to 4 am daily. RAMALLAH, (PIC)-- Many Palestinian families with their children are mercilessly maltreated and forced out of their houses in freezing cold during arrest raids carried out at dawn by the Israeli occupation forces (IOF) in the West Bank. This scene repeatedly takes place on a daily basis in the early morning hours. As women and children along with other members of the family are asleep, all of a sudden a force of Israeli troops with masks or blackened faces break into their house terrorizing everyone and forcing them amid the cries of children to leave their beds and stay outdoors. Afterwards, they start to ransack the house, turn everything inside upside down and cause sometimes material damage to the furniture during their violent search. During such raids, the troops and their escorts from the Israeli intelligence feel like to arrest one member or maybe more from the family, mostly little kids or young men, and sometimes they hand them summonses for interrogation. Many such incidents have also been reported lately of families being humiliated and interrogated for hours by intelligence officers inside or outside their homes in different West Bank areas. A mother of a Palestinian detainee from Azzun town said that Israeli soldiers forced her and her children out of the house in freezing cold and arrested one of her sons. She added that the soldiers handcuffed and blindfolded her son and ordered him to stand against the wall before searching him thoroughly and taking him without allowing him to change his light clothes. The night of arrest is unforgettable to all detainees and families whose suffering continues until the release day, according to Fouad Al-Khafsh, a specialist in prisoners' affairs. Several human rights groups have reported lately an increase in the daily arrest of Palestinians in the occupied Palestinian territories, which has caused the Israeli jails and detention centers to be overcrowded with detainees and prisoners. The poor incarceration conditions have also gotten worse as Israeli jails and detention centers have become filled to capacity nowadays, reports said. In its weekly Report On Israeli Human Rights Violations in the Occupied Palestinian Territories for the week of 13- 19 Dec 2012, the Palestinian Center for Human Rights (PCHR) found that a Palestinian civilian died of wounds he had sustained in the latest Israeli offensive on the Gaza Strip. In addition, Israeli Forces also wounded 10 Palestinian civilians, including 3 children, in the West Bank and Gaza Strip. 5 Palestinian civilians were wounded in the Gaza Strip, 4 of whom were wounded at the border area, while the fifth was wounded in the sea. Three Palestinian civilians, including two children, were wounded in the West Bank. At least 33 Palestinian civilians were abducted in the West Bank. 4 children from the Gaza Strip were abducted while attempting to cross the border into Israel. In the Gaza Strip, on 18 December 2012, medical sources in the Arab National Bank Hospital in Cairo – Egypt pronounced Salem Ahmed Salem Bin Sa'id, 19, from al-Mussaddar village in the central Gaza Strip, dead because of wounds he sustained on 17 November 2012 during the latest Israeli offensive on the Gaza Strip. The aforementioned person was wounded when an Israeli warplane targeted a group of persons in a small room on a piece of land near his father's house. His father and another person were killed and 6 others sustained wounds; 2 of whom sustained serious wounds, including the abovementioned person who was pronounced dead. It should be noted that Bin Sa'id was a civilian. On 14 December 2012, 2 Palestinian civilians were wounded in two separate shooting incidents. The first one was wounded when the Israeli Forces stationed along the border fence in the southern Gaza Strip opened fire at a group of persons, who were about 200 meters to the west of the border fence. The second person was wounded when the Israeli Forces stationed along the border fence in the east of Abu Safiya gate in the northern Gaza Strip opened fire at a group of persons and farmers, who were 150 meters away from the fence. On 17 December 2012, a Palestinian fisherman was wounded when the Israeli gunboats stationed in the Gazan waters opened fire at a fishing boat belonging to Mos'ad Baker, 38. Baker and his nephew Mohammed Tareq Abdul Razeq Baker, 20, were on board the boat 7 nautical miles off Wadi Gaza shore. As a result, Mos'ad was wounded by a bullet to the left thigh and transported to Barzilai Medical Center in Ashkelon inside Israel. Moreover, his nephew Mohammed was abducted and questioned and their boat no. 12935 was confiscated. As a result, 4 Palestinian civilians, a 16 year-old boy sustained a gunshot to the right hand and an 18 year-old boy sustained a gunshot to his back in Bil'ein village; and Hamza Ahmed Abu-Hashem, 14, sustained bruises after being pushed by an Israeli soldier off a high wall; and Ahmed Abu-Hashem, 46 in Beit Ummar. A number of demonstrators also suffered from tear gas inhalation and others sustained bruises. Following the Friday Prayer on 14 December 2012, dozens of Palestinian civilians and international and Israeli human rights defenders organized a peaceful demonstration in Bil'ein village, west of Ramallah, in protest to the construction of the annexation wall, titled: "Against the Israeli willful killing policy; and Israeli leaders' orders to fire live bullets at demonstrators." Administrative Detention and In Solidarity with Prisoners on Hunger Strike." As a result, two civilians sustained gunshot wounds, a 16-year-old boy sustained a gunshot to the right hand and an 18-year-old boy sustained a gunshot to his back. Also dozens of demonstrators suffered from tear gas inhalation and others sustained bruises. Also following the Friday Prayer on 14 December 2012, dozens of Palestinian civilians and international and Israeli human rights defenders organized a peaceful demonstration in Ne’lin village, west of Ramallah, in protest at the construction of the annexation wall and settlement activities. Around the same time on Friday, 14 December 2012, dozens of Palestinian civilians and Israeli and international human rights defenders gathered in the Martyrs Square in Nabi Saleh village, northwest of Ramallah, to hold a weekly peaceful protest against the construction of the annexation wall and settlement activities, titled: "Commemoration of Our Martyrs and the Commencement of Popular Resistance in Nabi Saleh." The protesters walked towards the gate erected by Israeli forces near the entrance of the village, which leads to Palestinian lands that Israeli settlers from the nearby "Halmish" settlement are trying to seize. Also following the Friday Prayer, dozens of Palestinian civilians and international human rights defenders organized a peaceful demonstration in the center of al-Ma’sara village, south of Bethlehem, in protest at the ongoing construction of the annexation wall, titled: "In Solidarity with the Prisoners on Hunger Strike." as a result, Mahmoud Zawahra (25), coordinator of the Popular Resistance against the Wall and the Settlement Activity, sustained bruises. At approximately 10:00 on Saturday, 15 December 2012, dozens of Palestinian civilians, farmers and international activists gathered in Sho'ab al-Batama area, east of Yatta, in protest to the Israeli forces' policy of confiscating farmlands, denying civilians' access to their lands and the destruction policy. The Israeli soldiers raided the area, and declared it a closed military zone to keep the demonstrators away. At approximately 11:00 Saturday, 15 December 2012, dozens of Palestinian civilians, international and Israeli human rights defenders, gathered in the Center of Bait Ummar village, north of Hebron, for the weekly peaceful demonstration organized against the settlement expansion policy, the wall and the arrest of children. The demonstrators headed towards Thaher Jalis area near "Kermi Tsour" settlement north of the village. A group of Israeli soldiers surrounded the demonstrators and started a hand fight with them, bruising a number of them. They were identified as: Hamza Ahmed Abu-Hashem, 14, who sustained bruises after being pushed by an Israeli soldier off a high wall; and Ahmed Abu-Hashem, 46. On 14 December 2012, the Israeli Forces handed a notice to Mahmoud Shehada Makhamra, 63, from Ma'in area, south of Hebron, ordering the demolition his 2-storey house. The house is built on 170-square-meter area of land and resided by 10 individuals. On 14 December 2012, a group of settlers from "Beitar Elite" and "Navi Daniel" settlements, south of Bethlehem, uprooted 200 olive trees belonging to Ahmed Hussein Salah, 70, from al-Khader village. On 17 December 2012, a group of settlers from "Beit Hagai" settlement, south of Hebron, attacked Palestinian lands in al-Raihiya village, south of Hebron, in an attempt to seize these lands and cut the trees. On the same day, a group of settlers from "Kiryat Arba" settlement attacked lands in Jales area, south of Hebron. They attempted to uproot and cut off olive trees in the area near the security fence of the said settlement. The PCHR calls on the international community to recognize the Gaza disengagement plan, which was implemented in September 2005, for what it is - not an end to occupation but a compounding of the occupation and the humanitarian crisis in the Gaza Strip. GAZA, (PIC)-- A human rights organization confirmed that the Israeli naval forces wounded and arrested, since the truce a month ago, 34 Palestinian fishermen in the Gaza Sea, destroying and confiscating ten fishing boats. The Palestinian Centre for Human Rights (PCHR) said in a statement that the Israeli marines opened fire on Monday morning towards a Palestinian fishing boat in the waters of the Sea of Gaza, wounding and arresting the two fishermen who were on the boat and confiscated their boat to the port of Ashdod. The occupation forces transferred the injured fisherman to hospital and released the other at a late hour of the same day, after interrogating him. The center said that it monitors the developments that have taken place in the waters of the Gaza Sea, since the declaration of the truce between Palestinian resistance and the occupation under Egyptian and international auspices. A number of Palestinian fishermen told PIC that they were fishing in the sea at a distance of six nautical miles, where the Israeli gunboats were so close to them despite the Israeli decision to allow Palestinian fishermen to fish and sail six nautical miles off the Gaza coast. PCHR strongly condemned the continuing Israeli violations against Palestinian fishermen in the sea of the Gaza Strip, including the use of excessive force against the fishermen. The center called on the international community, including the High Contracting Parties to the Fourth Geneva Convention of 1949, related to the protection of civilians in time of war, to intervene in order to stop all the Israeli violations against Palestinian fishermen immediately, and allow them to fish freely in the strip's water. The human rights center also called to stop the Israeli prosecution policy against Palestinian fishermen, and to let them sail and fish freely. NABLUS, (PIC)-- Ahrar center for prisoner studies and human rights said there are 120 Palestinian teachers detained in Israeli jails, calling on the union of Palestinian teachers and the ministry of education to pay more attention to their issue. In a press release issued on the occasion of the teacher's day, director of the center Fouad Al-Khafsh stated that the Palestinian teachers in general have been exposed more than any segment of the Palestinian spectra to detention because of their leading role in the Palestinian struggle against the occupation. "Everyone should honor this group of people which have given a lot and raised men on nationalism and heroism; they has set examples in steadfastness and fortitude in interrogation rooms and prisons," Khafsh stressed. He cited as an example what happened to teacher Wael Hashash who was kidnapped from his school later this year and released after 10 months in jail before detaining him once again, calling for giving the issue of detained teachers priority. In its Weekly Report On Israeli Human Rights Violations in the Occupied Palestinian Territories for the week of 06- 12 Dec 2012, Israeli Forces killed 1 Palestinian child in Hebron in the southern West Bank. 1 Palestinian civilian and 1 member of an armed group died of wounds they had sustained during the latest Israeli offensive on the Gaza Strip. 8 Palestinian civilians were wounded in the Gaza Strip and the West Bank. In the Gaza Strip, 2 Palestinians, including 1 civilian, died of wounds they had sustained during the latest Israeli offensive. On 09 December 2012, Nasser Zaidan al-Nahhal, 49, from al-Shati' refugee camp, was pronounced dead medical sources in Egypt; he died of wounds that he sustained on 18 November 2012, when an Israeli gunboat targeted a Palestinian in al-Shati' refugee camp. As a result of the attack, the targeted person and 1 little girl, who was playing in the area, were killed and 5 others, including al-Nahhal, were wounded. On 12 December 2012, Abdullah Mahmoud Abdul Fatah 'Asqoul, 24, from al-Qarara, was pronounced dead medical sources in Egypt; he died of wounds that he sustained during the latest Israeli offensive on Gaza. 'Asqoul is a member of an armed group and was wounded on 17 November 2012 when an Israeli warplane bombarded the al-Zanna area in the east of Khan Yunis. 'Asqoul and another member of an armed group were wounded in the attack. On 09 December 2012, at approximately 12:00, Israeli forces took position at the observation towers of the border fence near Beit Hanoun “Eirez”, located in northwestern Beit Hanoun, in northern Gaza Strip. They opened fire at a group of workers who were collecting stones and grits from the rubble of the destroyed buildings in the “Eirez” Industrial area. As a result of these shootings, Abdullah Salim Abu Jari, (23), living in Um al-Naser village in northern Gaza Strip, sustained injuries in his left leg. He sustained these injuries while he was 300 meters away from the border fence. A group of workers then transferred him by a cart to the road and from there he was transported to the Martyr Kamal Odwan hospital in Beit Lahia. His wounds were described as moderate. It should be mentioned that Palestinian workers usually collect stones and grits from the rubble of destroyed buildings to use them in the construction and reconstruction process, particularly because the entry of building materials in Gaza Strip has been restricted since Israeli forces imposed the closure on the strip more than 6 years ago. On 12 December 2012, 1 Palestinian worker was wounded when Israeli infantry moved 150 meters to the south of the border fence, northwest of Beit Lahia in the northern Gaza Strip. Israeli soldiers opened fire at a group of workers, who were collecting gravel and firewood. Israeli forces conducted 70 incursions into Palestinian communities in the West Bank, during which the forces abducted 45 Palestinians, including 5 boys and 1 girl. In the West Bank, in an example of excessive use of lethal force, on 12 December 2012, Israeli forces killed a 17-year old Palestinian child when a female Israeli soldier from the Border Guard Forces opened fire at him and killed him. According to the findings of investigations conducted by PCHR, at approximately 18:30 on Wednesday, 12 December 2012, Mohammed Ziad Awad al-Salayma, 17, was on his way home after buying a cake to celebrate his birthday, which was on the same day. When he arrived at an Israeli checkpoint that is established at the entrance of al-Masharqa neighborhood, Israeli soldiers at the checkpoint were detaining a child, who had a plastic pistol. as a result, he was hit by three bullets that penetrated his body and killed him immediately. Israeli forces kept his body for over two hours before delivering him to an ambulance belonging to the Palestine Red Crescent Society (PRCS). As a precondition for the release of his body, Israeli forces prohibited the burial of al-Salayma in a cemetery close to the limitation zone in al-Sheikh area in the centre of the Old City. On 11 December 2012, Israeli forces wounded 1 Palestinian civilian when they moved into Ni'lin village, west of Ramallah, where dozens of boys were protesting. Israeli forces opened fire and wounded 1 Palestinian civilian in the left leg. Israeli forces continued to use excessive force against peaceful protests organised by Palestinian civilians and Israeli and international human rights defenders. 5 Palestinians were wounded, including 1 child, while participating in the al-Nabi Saleh weekly protest. In addition, dozens of Palestinians suffered from tear gas inhalation and sustained bruises. Israeli forces raided 3 the offices of civil and human rights organisations in Ramallah and confiscated some of their contents. Israeli forces established dozens of checkpoints in the West Bank. At least 2 Palestinians were abducted at checkpoints in the West Bank. Israeli forces continued to use excessive force against peaceful protests in the West Bank. At least 5 Palestinian civilians, including 1 child, were wounded in Bil'ein weekly protest, west of Ramallah. Following the Friday Prayer on 07 December 2012, dozens of Palestinian civilians and international and Israeli human rights defenders organised a peaceful demonstration in Bil'ein village, west of Ramallah, in protest of the construction of the annexation wall, titled: "Against Administrative Detention and In Solidarity with Prisoners on Hunger Strike". The demonstrators gathered in the streets of the village, chanting slogans calling for national unity. The protesters aimed to stress the need to adhere to national principles and the right of return, to resist the occupation and to call for the release of all Palestinian prisoners. The protesters raised Palestinian flags and made their way towards the wall. They called through megaphones for Israeli settlers in “Mitityahu” settlement to leave Palestinian land. Israeli soldiers stationed in the area fired rubber-coated metal bullets, sound bombs and tear gas canisters at the demonstrators. Also following the Friday Prayer on 30 November 2012, dozens of Palestinian civilians and international and Israeli human rights defenders organised a peaceful demonstration in Ne’lin village, west of Ramallah, in protest of the construction of the annexation wall and settlement activities. The demonstrators moved towards areas of the annexation wall. Immediately, Israeli soldiers stationed in the area fired rubber-coated metal bullets, sound bombs and tear gas canisters at the demonstrators. Around the same time on Friday, 30 November 2012, dozens of Palestinian civilians and Israeli and international human rights defenders gathered in the Martyrs Square in Nabi Saleh village, northwest of Ramallah, to hold a weekly peaceful protest against the construction of the annexation wall and settlement activities, titled: "Commemoration of Our Martyrs, the Commencement of Popular Resistance in Nabi Saleh, the 9th Anniversary of Bassma al-Tamimi's, 1st Anniversary of Mustafa al-Tamimi's and the 40th Anniversary of Rushdi al-Tamimi's Killing by Israeli Occupation Forces". As a result, 5 civilians were injured, including a child, and dozens of demonstrators suffered from tear gas inhalation. Also following the Friday Prayer, dozens of Palestinian civilians and international human rights defenders organised a peaceful demonstration in the centre of al-Ma’sara village, south of Bethlehem, in protest at the ongoing construction of the annexation wall. At approximately 00:00 on Thursday, 06 December 2012, a group of settlers, under the protection of Israeli forces accompanied by military vehicles, raided the area of "Trcilla" settlement, which was established on Palestinian lands, south of Jenin and evacuated in 2005. The settlers stayed in the area for a time and practiced Jewish rituals. They later left with no reports of any other actions. It should be mentioned that the aforementioned settlement was taken over by Israeli forces after the 1967 war; before that, the Jordanian Army established a camp in the area in 1952 and built a mosque in 1965. After the Israeli forces confiscated the camp, they turned it into a military camp and converted the mosque to a synagogue. Settlers occasionally encroach into the evacuated settlement area under the protection of Israeli forces to practice religious rituals. At approximately 11:00 on Thursday, 06 December 2012, dozens of settlers from "Carmiel" settlement, established on Palestinian lands east of Yatta, south of Hebron, organized a demonstration in support of the Israeli government's policy to expand its settlement activity in the West Bank on Bypass Road 60. The settlers raised Israeli flags and banners bearing anti-Arab slogans, and chanted in support of the government's policies. The demonstration dispersed by "Susiya" and " Mtsa Yair" settlements, southeast of Yatta. In his testimony to a PCHR fieldworker, Rateb al-Jbour, member of the Popular Committee Against Settlement Activity, said that Israeli forces were heavily deployed along Bypass Road 60 between "Carmiel" and "Susiya" settlements, closed all entrances to the southeastern villages of Yatta, and banned civilians from Sha'b al-Battam and al-Tawani villages from moving, in order to provide protection for the settlers. At approximately 07:00, dozens of settlers from "Susiya" settlement, established on Palestinian lands southeast of Yatta, raided the Palestinian farmlands located near the security fence of the aforementioned settlement, in an attempt to confiscate them. The farmers present in the lands confronted the settlers and made them leave. At approximately 07:30 on Saturday, 08 December 2012, a group of settlers coming from "Mitzpe Yair" settlement, established on Palestinian lands east of Yatta, ploughed the farm lands in Qawaries village, east of the city, in order to confiscate it. The 160 dunums of land belong to the 'Awad family. The attack was carried out under the protection of Israeli police, who attacked the farmers and prevented them from coming into the area, declaring it a closed military zone. In his testimony to a PCHR fieldworker, Rateb el-Jbour said that dozens of settlers had raided the farmlands in Qawaries and ploughed it in order to confiscate it. He also mentioned that a skirmish occurred between the farmers, international activists and the settlers. The Israeli police intervened and beat the farmers, pushed them away and declared the area a closed military zone, while allowing the settlers to continue their provocative attacks. As a result, an intentional solidarity activist sustained bruises. At approximately 09:00 on Sunday, 09 December 2012, a group of settlers from "Adora" settlement, established on Palestinian lands west of Hebron, gathered along Bypass Road 60 and started throwing rocks at passing Palestinian vehicles in front of Israeli soldiers who did not react. According to an eyewitness, dozens of settlers spread along the security fence of "Adora" settlement and threw rocks at Palestinian vehicles that were driving through Bypass Road 60. Early in the morning on the same day, a group of settlers used waste water to flood Abed Seder's house, 30, in the centre of the old city of Hebron. As a result, the contents of the house were destroyed. According to an eyewitness, the settlers released waste water near civilians' houses in the old city. as a result, 35 olive trees were uprooted and buried. In his testimony to a PCHR fieldworker, Omar al-Din Masalha, the owner of the land, said, "On Sunday, 09 December 2012, two Israeli bulldozers arrived at my land in Khelt Amro area, east of Qalqilya. The bulldozers began leveling the land. When I arrived to the scene they had already leveled a dunum and a half. At approximately 13:30 on Monday, 10 December 2012, an Israeli Liaison officer came in and informed us that they would not continue with the bulldozing." as a result, her car's windscreen was broken and she sustained wounds to the head and her right eyelid. She was transported by a Palestine Red Crescent Society (PRCS) ambulance to Hebron Public Hospital. At approximately 02:45 on Wednesday, 12 December 2012, a group of settlers raided the northern side of Shaqba village, west of Ramallah, and set fire to a civilian car, belonging to Ramadan Youssif Musa al-Masri. The village is located near a number of settlements, "Beit Aryeh," "Indigo," "Modi'in" and "Nei'li" settlements. The settlers wrote "Revenge!" in Hebrew on walls in the area. In his testimony to a PCHR fieldworker, Mustafa Khalil al-Ajrab, 49, a local civilian, said, "At approximately 02:00 on Wednesday, 12 December 2012, while I was on night watch at Shaqba Hardware store, a garage for selling used car parts, on the northern side of Shaqba village, west of Ramallah, less than 1 kilometre away from 466 street, which is used by settlers. I heard a car engine stop near the main gate of the store, and a number of people speaking Hebrew stepped out of the car; I did not leave the store as I thought it must be an Israeli forces patrol unit. I heard an explosion and the sound of burning fire and when I was sure the car had left, I went outside and saw a car, a 1996 white Nissan, set on fire. The car was parked in front of the store, so I immediately called Mohammad al-Masri, 27, the store owner's son, who rushed to the store to help me put out the fire, and a number of civilians helped us. After controlling the fire, I noticed a black Hebrew writing on the walls. I later learnt it said 'Revenge!" At approximately 09:20 on Wednesday, 12 December 2012, a large number of Israeli forces and "Border Guards," accompanied by two military bulldozers and a Civil Administration officer, raided the Beit Noba Residence Complex, established on the southern side of Beit Loqia village, southwest of Ramallah. At approximately 09:30, two bulldozers began destroying an under-construction room of 18 square meters, belonging to Sharif Mohammad Ibrahim al-Qadi, under the pretext that he had not obtained a building permit from the Israeli Civil Administration. Due to the number and severity of Israeli human rights violations this week, the PCHR made several recommendations to the international community. Among these were a recommendation that, in recognition of the International Committee of the Red Cross (ICRC) as the guardian of the Fourth Geneva Convention, PCHR calls upon the ICRC to increase its staff and activities in the Occupied Palestinian Territories, including the facilitation of family visitations to Palestinian prisoners in Israeli jails. Bethlehem is a vivid example of the severe and appalling effects that Israeli colonization policies have had in Palestine. Illegal confiscation of land, expulsion of Palestinian families and on-going construction of Israeli settlements are few of countless stories that can be heard from the inhabitants of Palestine in general, and Bethlehem in particular. Effectively, Israel has sought to change the demographic and geographic composition of the Occupied Palestinian Territory, particularly in occupied East Jerusalem, by taking as much as land and as many natural resources as possible with as few Palestinians as possible, for the benefit of the illegal colonial enterprise. Since the Israeli occupation of 1967, Israel has employed several policies to annex important areas of the Bethlehem district, so that Bethlehem has had most of its northern land stolen by Israeli settlements. --Since 1967, some of the largest illegal settlement projects, which dramatically increased after the Oslo Accords in 1993, have been carried out in and around occupied East Jerusalem, particularly between Bethlehem and occupied East Jerusalem. --Currently there are 22 Israeli settlements established on Bethlehem's land, including Gilo, Giv'at Hamatos and Har Homa to the north; Teqoa and Nokdim (where Israeli FM Avigdor Lieberman lives) to the east; Efrata and Navi Daniel (where Israeli Public Diplomacy minister Yuli Edelstein lives) to the south; as well as Har Gilo and Betar Illit to the west, effectively turning Bethlehem into an open air prison. --In Bethlehem's northern area (including Beit Jala and Bait Sahour) Israel has illegally confiscated around 22,000 dunums of land (22 square kilometers), roughly the size of the country of Nauru. --From the 22,000 dunums that have been confiscated, Israel illegally annexed 18,000 dunums to the so-called -Jerusalem municipality?, which Israel has been unilaterally expanding since 1967. This confiscated land was used to expand the illegal settlements of Gilo, Giv'at Hamatos and Har Homa. --The illegal Wall has effectively annexed 4,000 dunums of land belonging to Bethlehem itself. --The network between Har Gilo, Cremisan Wall, Gilo, Giv'at Hamatos and Har Homa Settlements will effectively isolate Bethlehem from Jerusalem. This network could potentially expand to the Eastern Bethlehem area, stopping any possible growth of Bethlehem towards the Jordan Valley and Dead Sea, all within the State of Palestine. --Some of the Israeli announced plans for the settlements of Gilo, Giv'at Hamatos and Har Homa are hotels that will eventually benefit from the proximity to Bethlehem, as well as enjoying a perfect view of the city. While the hotels will be located on Bethlehem's land, they will be used for the business of colonization and benefit of illegal Israeli settlers rather than for the benefit of the rightful land owners. This move will dramatically affect Palestinian hotels in Bethlehem and East Jerusalem. --Most of the affected land owners are Palestinian Christians from Bethlehem, Beit Jala and Beit Sahour, in addition to Churches from various denominations. The Israeli occupation policy of separating and isolating different Palestinian communities has divided historic communities in a very intensive manner. In particular, the Wall and the imposition of a racist permit regime have further intensified the disconnection between Bethlehem and Jerusalem. The permit regime requires Palestinians who do not reside in Jerusalem to obtain a security permit in order to cross from one side to the other. This includes Christian and Muslim religious authorities, women, elderly and youth. Demanding that Palestinians from Bethlehem apply for permits to enter occupied East Jerusalem is an additional legal measure taken by Israel, in order to consolidate its unilateral and illegitimate annexation of occupied East Jerusalem. --To improve its international image, Israel markets the numbers of permits to Palestinian Christians during Easter and Christmas. They present it as a -goodwill gesture? and sign of cooperation, although Palestinians are required to ask for permits from the occupying power to go from one side of their own country to the other, not to a different country. Regardless of this fact, not everyone who applies for permits gets them. For example, in April 2011, 15,000 Christian Palestinians applied for a permit to enter occupied East Jerusalem, but Israel only issued around 2500 permits. --Israel also issues permits randomly; often to one or two members of a family. This results in permits not being used, as families who opt to stay together are forced to celebrate at home. --Palestinian ID holders who do obtain permits are only allowed to enter Jerusalem through 3 of the 14 military checkpoints that encircle the occupied City. These checkpoints are limited to pedestrians, thus causing long, uncomfortable delays. --In and around Bethlehem there are 32 physical barriers erected by Israeli Occupation Forces — including checkpoints, roadblocks, dirt mounds, and gates. --International reports have echoed this situation. The EU ?Heads of Mission Report on Jerusalem' (2012) found that: -The [Government of Israel] selectively enforces legal and policy restrictions on religious freedoms and access by Christian and Muslims [sic] religious worshippers to their holy sites located in Jerusalem/Old City throughout the year. For more than a year, Palestinians from Beit Jala have conducted special prayers to save their land from further annexation. After having lost almost 70% of their land to the Israeli settlements of Gilo and Har Gilo, Israel plans to build a Wall that will separate them from one of the last green areas of Bethlehem, the Cremisan Valley. --The valley Israel plans to take is owned by 58 Palestinian Christian families as well as by churches. It lies between Israeli settlements of Gilo and Har Gilo, including the planned settlement of Giv'at Yael. --More than half of Beit Jala's olive trees are located at Cremisan. The town's olive oil is considered one of the finest in Palestine. --A Catholic kindergarten run by Salesian nuns will be heavily affected by the Israeli plans, while a Catholic Seminary and the winery run by Salesian Brothers, which employs workers from Beit Jala, will be left at the western side of wall. --Israel expects to resume construction during the early months of 2013. If the Wall is built, Palestinians from the Bethlehem area will lose one of its most precious traditions: During the last days of May, the Roman Catholic community conducts a procession from the statue honoring the Virgin Mary at Cremisan, to the Church of the Annunciation in Beit Jala. Mar Elias is one of the holiest Christian places in Palestine. It is where the Christmas procession to Bethlehem begins every year. Though historically it has always been part of Bethlehem, Israeli restrictions have made the church off limits to Palestinian Christians seeking to pray in the area. The land surrounding Mar Elias is owned mainly by Churches and Palestinian Christian families from Bethlehem, though most of it has been illegally confiscated by Israeli Occupation authorities for the expansion of Israeli settlements. Giv'at Hamatos settlement becomes the link between the settlements of Gilo and Har Homa, cutting off Bethlehem from Jerusalem and threatening a holy place located at the historic Jerusalem – Hebron road. --Thousands of settlement units were announced between 2011 and 2012. A number are considered to be a retaliatory measure against Palestine's UN Bid (2,610 units). --Divided into three plans (A with 2610 units, B with 549 units and C with 813 units), the southern part of Giv'at Hamatos begins at the Tantour area (historically part of Beit Jala) while the northern area reaches Talpiyot, in West Jerusalem. --If implemented, this settlement would have a similar effect to the E1 expansion of Ma'ale Adumin settlement: it would further isolate Occupied East Jerusalem, turning Palestinian communities into walled Bantustans by completing the -southern West Bank Bantustan. NEW YORK, (PIC)-- The UN said the recent Israeli war on the Gaza Strip resulted in the displacement of at least 3,000 Palestinian civilians whose homes were destroyed or sustained damage. The UN radio quoted the UN humanitarian coordinator James Rawley as saying that the civilians in Gaza, for the second time, took the brunt of the violence during the Israeli war. Rawley stressed the need for not repeating the latest Israeli military escalation in Gaza and called on all active political players in the region and the international community to take all necessary steps to ensure lasting peace and stability in Palestine and give hope for Gaza people. The UN official noted that 3,000 displaced civilians are living now with host families or in rented homes. He said that Israel's last war on Gaza exacerbated the unstable humanitarian situation there, where 800 percent of its population receives relief aid. The official also noted that in addition to the huge number of the homeless Palestinians who need for urgent housing assistance, there is a marked increase in the number of civilians, especially the children, who suffer physiological traumas as a result of the war. GAZA, (PIC)-- More than 130 government buildings and utilities were damaged in the Israeli aggression on the Gaza Strip that lasted for eight days in November. Yasser Al-Shanti, the public works undersecretary, said in a press release on Tuesday that his ministry collected information from various ministries before releasing that figure. He explained that three mosques were completely destroyed while 46 others were partially damaged, adding that five cemeteries were also partially destroyed. Shanti said that many workshops affiliated with various government ministries were damaged in the aggression while the warehouses of the public works ministry were completely destroyed. The Palestinian Centre for Human Rights (PCHR) condemns the raids of the offices of three civil and human rights organisations in Ramallah in the West Bank by Israeli Occupation Forces. The organisations affected were the Palestinian NGO Network, the Union of Palestinian Women's Committees, and Addameer Prisoner Support and Human Rights. Israeli soldiers searched the offices and confiscated a number of items. PCHR believes that these raids are an act of Israeli aggression against the occupied Palestinian territory (oPt). According to the findings of investigations by PCHR, at approximately 03:00 on Tuesday, 11 December 2012, Israeli forces, accompanied by military vehicles, moved into Ramallah. They broke the front gates and stormed the Sabat building, in al-Masyon neighborhood in the centre of Ramallah, where the offices of Addameer Prisoner Support and Human Rights and the Palestinian NGO Network are located. During the raid, Israeli soldiers searched the offices, employees’ desks and the work files of the two organisations. Before withdrawing, they confiscated a number of PCs and laptops from the Documentation and Search Unit of from Addameer, files and documents from the Media Unit, and a memory card, a hard drive, a video camera and papers related to the organisation’s work. At the same time, a unit of Israeli forces stormed the Headquarters of the Union of Palestinian Women's Committees, in the Ahmed Ryad building, near Palestine Public Health Complex, in Qadoura Refugee Camp, in Ramallah. Soldiers broke the front gate of the Headquarters, broke in the office doors, searched the offices and interfered with the contents of the office. During the raid, Israeli soldiers confiscated 7 laptops, 3 PC hard drives, the internet server and a number of other items. They also stole nearly NIS 3000. PCHR strongly condemns this attack by Israeli forces against civil society organisations in the West Bank, and reiterates its call to the international community and the High Contracting Parties to the Fourth Geneva Convention to take serious measures to put an end to Israeli crimes against Palestinian civilians and against Palestinian civil society organisations. GAZA, (PIC)-- Human rights report revealed that more than 299 thousand Palestinian citizens have been detained in Israeli jails for years or days, or even hours since the outbreak of the first intifada in December 28, 1987. The Palestinian prisoners studies center said, in a report issued on Monday, that 210 thousand Palestinians were arrested during the beginning of the first Intifada until the formation of the Palestinian Authority in mid-1994, and ten thousand arrests took place between 1994 and 2000 with the outbreak of al-Aqsa Intifada, and 79 thousand arrests were reported during the years of intifada and until now. The report confirmed that the total number of arrests is 299 thousand citizens of all ages and categories and segments, including women, children and the elderly, members of the legislative Council and academics, doctors and university students. The center said in the 25th anniversary of the first intifada that the occupation tried through the intensification of detention and abduction policy against the Palestinian people since the occupation of the Palestinian territory in 1967, to intimidate the Palestinian people and the Palestinian resistance, but it failed to achieve its objectives. NABLUS, (PIC)-- Tadamun Foundation for Human Rights stated that the sick prisoners in Ramle prison hospital suffer from very difficult health condition due to the Israeli deliberate medical negligence. The foundation's lawyer Muhammad Abid stated that the disabled prisoner Nahidh Faraj Aqra, 41, from Gaza Strip, whose right leg is amputated, is threatened with amputating his left leg at any moment due to the wound inflammation, where he suffers from severe and unbearable aches. The Israeli occupation forces have arrested Aqra in 2000 while returning from a hospital in Jordan and sentenced him to three life terms where he is prohibited from family visits since the day of his arrest. The lawyer, who visited the sick prisoners, pointed out to the case of the prisoner Ayman Talib Abu Sitta from the Gaza Strip, who suffers acute inflammation of the liver, where he stayed at the Soroka Hospital in Be'er Sheva for 40 days before being transferred recently to Ramle hospital, noting that he was detained since 1994. The Foundation's lawyer presented the case of the prisoner Ahmed Awad from the town of Beit Ummar in al-Khalil district who was injured at the time of his arrest three weeks ago by four bullets fired by Israeli soldiers, wounding his hand, abdomen and thigh, where he suffers very difficult health condition. The captive Mutassim Talib Raddad, sentenced to 20 years, is still suffering from severe pain in his stomach as a result of being wounded at the time of his arrest in 2006. He needs an injection each month worth 14,000 shekels. He stated that 18 sick prisoners resided permanently in the prison Ramle prison hospital. Tadamun Foundation for Human Rights called for the closure of this prison, which is called falsely a hospital, which comprises several cramped and ill-equipped rooms, where the prisoners suffer from deliberate medical negligence and periodical inspections by the Israeli prisons administration. GAZA, (PIC)-- The Palestinian Prisoners Studies Center (PPSC) confirmed that the occupation is still detaining in its jails 12 prisoners suffering from cancer, with its different forms. The number of the prisoners with cancer has decreased after the release of the captive Nabil Naim Natsheh, from the city of al-Khalil, who suffers from the disease and who had served 15 months in the Negev desert prison. The Director of the PPSC, researcher Riyad al-Ashqar, pointed out that prisoners with cancer are exponentially suffering from custody, the prisons' harsh conditions, the occupation violations and the deprivation of all their rights, in addition to their illness and the policy of medical neglect. Ashqar pointed out that the health of the prisoner Mutassim Raddad, 27, from Tulkarem, who suffers from cancer, has recently seriously deteriorated. Mutassim, who has been held in Ramla prison hospital, started suffering cardiac problems, chronic intestinal inflammations, and severe and continuous bleeding, which caused him anemia. The doctors decided that he has to undergo surgery to remove all his intestines, to which Mutassim has approved after consulting a medical committee from abroad. The researcher Ashqar also noted that the health of prisoner Khalil Ibrahim Abu Hadrous, who also suffers from cancer has deteriorated, adding that he had undergone surgery to romove a cancerous tumor a year ago and that he is receiving chemotherapy and in constant need for medication. Ashqar demanded all the international institutions and bodies, in particular the World Health Organization and Doctors Without Borders, to urgently send medical committees to visit the Israeli prisons in order to see for themselves the conditions of the patient prisoners and to intervene to save their lives and release them. GAZA, (PIC)-- The Palestinian prisoners’ center for studies affirmed that the situation in the Israeli prisons has been deteriorating as a result of the prison administrations’ oppressive and criminal policies against them. The director of the center, Riad al-Ashqar, stated that prisoners have been discussing taking escalatory steps against the prison administrations’ practices, particularly against the negligence of demands of hunger striking prisoners, as Ayman Sharawna and Samer Isawi whose health conditions have seriously deteriorated due to the continuation of their hunger strike for more than five months. He added that the prisoners also expressed their rejection of the Israeli occupation forces' repeated break-ins in the prisons' sections and rooms, during which they assault the prisoners, and demanded an immediate end to such measures. Ashqar noted that the captives had waged a one-day hunger strike twice, during the past two weeks, as a cautionary step, in solidarity with the hunger strikers and the patient prisoners who have been suffering as a result of the prison administrations’ deliberate medical neglect. The head of the senior leadership of Hamas prisoners in Israeli jails captive Abbas al-Sayed had previously announced the launch of an open hunger strike in solidarity with the striking captives; Sharawna and Issawi, which warns that the prisons will be witnessing difficult conditions. Ashqar said that the occupation has escalated during the last week its violations against the prisoners; as it attacked one of the captive movement's leaders prisoner Jamal al-Hour, after storming Section 11 in Nafha prison and carrying out strip searches against the prisoners. The prison administration in Beersheba prison has also isolated the captive Sheikh Jamal Abul Heija, while the prisoners refused meals as a first step to protest his isolation, continued Ashqar. The Palestinian prisoners' center warned of the repercussions of such provocative practices, and held the occupation fully responsible for the consequences of its procedures. The center urged the Egyptian sponsor to intervene to help the prisoners and to force Israeli authorities to implement the terms of the agreement which has been signed following the prisoners' mass hunger strike last April under Egyptian auspices. It also called on the Palestinian people to intensify activities in support of the captives. Yediot Ahranot Israeli newspaper said in a press release that a human rights group accused Israel of violating the laws of war when it killed 12 civilians in an airstrike during its recent conflict in the Gaza Strip. Israel attacked the home of the al-Dalou family in Gaza City, killing 10 family members and two other civilians. Israel's army claimed the home was a hideout for a senior Hamas terrorist involved in rocket attacks. Human Rights Watch said the man Israel targeted was a low-ranking police officer. In its report released Friday, it said Israel's attack was unlawful because of the large number of civilians killed. Yediot Ahranot revealed that the Israeli army said in a statement that it worked to minimize noncombatant casualties, and civilians were never a target. The army blamed Palestinians for using civilian buildings as hideouts. In its Weekly Report On Israeli Human Rights Violations in the Occupied Palestinian Territories for the week of 29 Nov.- 05 Dec 2012, the Palestinian Center for Human Rights (PCHR) found that Israeli Forces killed a Palestinian civilian in the southern Gaza Strip. In addition, a member of a Palestinian armed group died of wounds he had sustained in the latest Israeli offensive on the Gaza Strip. The Israeli Forces also killed a Palestinian civilian in the east of Tulkarem. 14 civilians, including 4 children, were wounded along the border fence in the Gaza Strip. Israeli Forces abducted 20 fishers, including 5 children, and damaged a fishing boat's engine. In the Gaza Strip, on 30 November 2012, the Israeli Forces killed a Palestinian civilian in the east of al-Shouka village, east of Rafah. The abovementioned civilian was killed when the Israeli soldiers along the border fence to the east of Rafah opened fire at dozens of Palestinians. As a result, a civilian was wounded by a bullet to the pelvis and was transported to Abu Yusef al-Najjar hospital. Due to his serious injury, he was transported to Gaza European hospital in Khan Yunis. However, he was pronounced dead on Saturday morning, 01 December 2012. On 29 November 2012, medical sources in al-Salam hospital in Egypt pronounced declared that Husam al-Hams, 36, died of serious wounds he had sustained during the latest Israeli offensive on Gaza, when an Israeli warplane launched a missile at 2 members of an armed group near a playground, west of Rafah. As a result of that attack, one of them was immediately killed and al-Hams was seriously wounded. During the reporting period, the Israeli Forces wounded 14 Palestinian civilians, including 4 children, along the border fence while they were near the fence to challenge the Israeli decision to impose a buffer zone in the area. On 29 November 2012, a 17-year-old boy was wounded when the Israeli Forces stationed along the border fence in the east of Beit Hanoun opened fire at group of Palestinian civilians and farmers near the fence. On 30 November 2012, 10 civilians, including 2 children, were wounded when the Israeli Forces stationed along the border fence opened fire at them. On 01 December 2012, 3 civilians were wounded when the Israeli Forces along the border fence opened fire at them. On 03 December 2012, a Palestinian child was wounded when the Israeli Forces along the border fence opened fire at him in the east of al-Bureij refugee camp. In the context of other shooting incidents, the Israeli Forces stationed along the border fence in the east of Beit Hanoun and Jabalya in the northern Gaza Strip, opened fire at Palestinian civilians and farmers, who headed to the border area to challenge the Israeli decision to impose a 300-meter buffer zone along the borders. It should be noted that hundreds of Palestinian farmers have been denied access to their lands in the mentioned area. These farmers decided to go to the border area in light of the announcement of the cease-fire agreement between Israeli and the Palestinian resistance groups. In the context of targeting fishermen in the Gaza Strip, on 29 November 2012, the Israeli gunboats stationed off Beit Lahia shore in the northern Gaza Strip intercepted a fishing boat boarded by 6 fishermen, including a child, which was 5 nautical miles off the shore. The Israeli Forces abducted and questioned the 6 fishermen on board the gunboat. 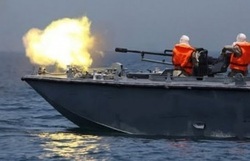 On 01 December 2012, the Israeli gunboats surrounded and opened fire at a Palestinian fishing boat that was 3 nautical miles off Gaza City shore. They abducted 5 fishermen, including 2 children, and transported them to Ashdod Port, where they were questioned and then released. On the same day, an Israeli gunboat attacked 2 fishing boats 2.5 nautical miles off the shore. The Israeli naval forces opened fire at the 2 boats and damaged the engine of one of them. None fishermen on board fishing boat were abducted and transported to Ashdod Port for questioning. Moreover, the 2 boats were kept in custody. Israeli Forces conducted 47 incursions into Palestinian communities in the West Bank, and abducted 34 Palestinians, including 2 children and a woman with her son, in the West Bank. In the West Bank, on 03 December 2012, the Israeli Forces killed a Palestinian civilian when his car hit an Israeli military jeep on Nablus-Ramallah road. On 01 December 2012, a Palestinian child was wounded when the Israeli Forces moved into Dora village, southwest of Hebron, amidst firing sound bombs. In the same context, the Israeli Forces continued to use excessive force against peaceful protests organized by Palestinian civilians and Israeli and international human rights defenders. As a result, dozens of Palestinians were wounded, suffered from tear gas inhalation or sustained bruises. The Israeli Forces established dozens of checkpoints in the West Bank. At least 2 Palestinians were abducted at checkpoints in the West Bank. In one example of this week’s 47 incursions, on Thursday November 29th, At approximately 02:30, the Israeli Forces moved into Beit Leqia village, southwest of Ramallah. They raided and searched a number of houses using sniffer dogs amidst firing bullets and sound bombs. They intentionally damaged the doors and contents of the houses. The Israeli Forces obliged the residents to leave their houses and stay out. An Israeli intelligence officer questioned Mohammed Rabah Shokri Asi, 27, under the pretext that he is wanted. They wrote down the names of the residents and their mobile numbers. The Israeli Forces raided a house belonging to Mohammed Ibrahim Qeddis Dar Qeddis, and damaged its contents. They also occupied the roof of the house and turned it into a military lookout. At approximately 06:30, the Israeli Forces withdrew and no arrests were reported. Dar Qeddis said that soldiers took his wife's jewelry that is estimated at approximately 60,000 NIS. "At approximately 03:30 on Thursday, 29 November 2012, while I was sleeping with my 4 children, whose ages range between 4 and 11, on the second floor of our 2-storey house which is in the western part of Beit Leqia, I was surprised by having my door broken. I stood up and tried to reach the door, and found 10 Israeli soldiers. When they saw me, they asked in Arabic who was at home. I told them I had my wife and 4 children, who woke up at that moment. They ordered me to take everybody out, and more than 5 soldiers then came into the house and started searching. They asked many questions about my job and about Mohammed Rabah Assi. The Israeli Forces kept me and my children in the external storage room and continued searching the house. At approximately 04:20, the Israeli Forces withdrew. My wife checked the house and the bedroom and found that her jewelry that was in the wardrobe was not there. The jewelry is estimated at NIS 60,000." Israel continued efforts to create Jewish majority in occupied East Jerusalem. The Israeli municipality of Jerusalem demolished a commercial building and forced a Palestinian civilian to demolish his own house. As a result, 2 Palestinian civilians were wounded, and a number of demonstrators suffered from tear gas inhalation and others sustained bruises. Following the Friday Prayer on 30 November 2012, dozens of Palestinian civilians and international and Israeli human rights defenders organized a peaceful demonstration in Bil'ein village, west of Ramallah, in protest to the construction of the annexation wall. The demonstrators gathered in the streets of the village, chanting slogans calling for national unity. The protesters aimed to stress the need to adhere to national principles and the right of return, to resist the occupation and to call for the release of all Palestinian prisoners. The protesters raised Palestinian flags and made their way towards the wall. As a result, a 21-year-old Palestinians was wounded by a bullet to the right hand, and a 40-year-old man was hit in his right leg with a gas bomb. A number of demonstrators also suffered from tear gas inhalation and others sustained bruises. Also following the Friday Prayer on 30 November 2012, dozens of Palestinian civilians and international and Israeli human rights defenders organized a peaceful demonstration in Ne’lin village, west of Ramallah, in protest at the construction of the annexation wall and settlement activities. Around the same time on Friday, 30 November 2012, dozens of Palestinian civilians and Israeli and international human rights defenders gathered in the Martyrs Square in Nabi Saleh village, northwest of Ramallah, to hold a weekly peaceful protest against the construction of the annexation wall and settlement activities. The protesters walked towards the gate erected by Israeli forces near the entrance of the village, which leads to Palestinian lands that Israeli settlers from the nearby "Halmish" settlement are trying to seize. Israeli soldiers fired live and rubber-coated bullets, sound bombs and tear gas canisters at the protesters. As a result, dozens of demonstrators suffered from tear gas inhalation. Israeli forces also abducted two Israeli human rights defenders and transported them to an unknown destination. Also following the Friday Prayer, dozens of Palestinian civilians and international human rights defenders organized a peaceful demonstration in the center of al-Ma’sara village, south of Bethlehem, in protest at the ongoing construction of the annexation wall. The protesters raised banners saying, "In accordance with General Assembly resolution issued on 29 November 2012, you are in the State of Palestine, and occupation must be ended immediately." As the protestors moved towards the gate of the village, the Israeli forces closed it to prevent the demonstration from gaining access to the confiscated lands. Israeli soldiers fired rubber-coated metal bullets, sound bombs and tear gas canisters at the protesters. Hassan Braijiya, coordinator for the Popular Movement against the Wall and Settlement Activities, said that a unit of the Israeli forces moved into the village in the early morning before the beginning of the demonstration and hid behind the school awaiting for the gathering to start. He also added that an intelligence officer accompanied the unit and questioned children present in the area about the persons who threw stones at the Israeli forces. On 04 December 2012, the Israeli Forces demolished a mosque in Kherbet al-Mafqara area, south of Hebron. On the same day, the Israeli Forces demolished a 20-square-meter room in the southeast of Nablus, in addition to a 50-square-meter barrack in the same area. On 29 November 2012, dozens of settlers closed road linking Dora village, southwest of Hebron, with the bypass road (60) and prevented Palestinians from movement. On 02 December 2012, a group of settlers in the east of Yatta, south of Hebron, set fire to a 306 Peugeot vehicle and wrote racist slogans on a house south of Dora. At early morning hours on Monday, 03 December 2012, a group of settlers stormed a Palestinian five-storey building in Jabal al Mukaber, southeast of Occupied east Jerusalem. The settlers claimed that "Al'ad" association bought the building, located in al-Farouq neighborhood, two years ago. According to Israeli daily Haaretz, it is seemingly intended to build a new settlement outpost in the heart of the Palestinian neighborhood. It should be mentioned that the building, which was built many years ago, remained vacant of residents except for a family residing in the upper floor until a group of "guards" came in, changed the locks of the main gate and ceased the house. This building is several meters away from a building the settlers ceased in 2010 and changed it to a settlement outpost. Peace Now, an Israeli organization, described the settlers' action as dangerous and provocative, as seizing houses in the heart of the Palestinian neighborhoods in East Jerusalem raises tension in the city. On 04 December 2012, Israeli forces bulldozed a commercial building in Jabal al-Tour, and forced a civilian to demolish his house by himself in Beit Safafa in occupied East Jerusalem. At early morning hours on Tuesday, 04 December 2012, a group of the Israeli "Border Guards" and the Israeli police, accompanied by officers from the Israeli municipality of Jerusalem and a bulldozer, moved into Jabal al-Tour, east of the old city. They surrounded a commercial building, belonging to Mohammad Abul-Hawa, and started demolishing it. The 2-storey building was established on a 45-square-meter area. The first floor was used as a car rental office and the second one was used as a dentist clinic. According to Abul-Hawa, he had built the first floor in 2000 and added the second floor in 2009. He added that nearly a month and a half ago, he received a demolition notice from the Israeli municipality in the city, following that he started preparing the necessary paperwork to obtain a building license, but the municipality hastened in the demolition. In the same context, the Israeli municipality of Jerusalem forced Moussa 'Elian to destroy his house in Beit Safafa village, following an order issued by the mentioned municipality. 'Elian said that he built his one-storey house on a 220-square-meter area six years ago, and he received a notice from the Israeli municipality to stop the construction and demolish it. Nearly a month ago, he dug a hole in the roof, but the Municipality refused to allow it and threatened him that they would demolish his house on his expense and force him to pay NIS 250,000 as a fee; therefore, he had to demolish it by himself to avoid paying the demolition fees. Due to the number and severity of this week’s attacks, the PCHR made several recommendations to the international community. Among these were a recommendation that the High Contracting Parties to the Fourth Geneva Convention comply with their legal obligations detailed in Article 146 of the Convention to search for and prosecute those responsible for grave breaches, namely war crimes. The PCHR calls for the immediate implementation of the Advisory Opinion issued by the International Court of Justice, which considers the construction of the Annexation Wall inside the West Bank illegal. GAZA, (PIC)-- Munir Mina, the head of the Infrastructure and Camp Improvement in UNRWA, confirmed that 120 houses were completely destroyed, while about nine thousand houses were partially destroyed during the recent aggression on the Gaza Strip. "UNRWA" has taken immediately measures after the end of the aggression on Gaza for the damaged homes, where 35 engineering teams were formed to provide the donor countries with the losses' estimates. He said that about $1500 will be offered as one year's rent for the destroyed houses' owners, in addition to provide some of the basic needs for them. He pointed that the 35 teams will estimate the damage and set fixed and fair prices for all. Regarding the coordination with the Ministry of Works and Housing of Gaza government, Mina said that there is coordination between the ministry and the Committee to coordinate the compensation and relief efforts and avoid duplication. The Israeli Occupation has launched last month a brutal aggression on the Gaza Strip, which lasted for eight days, killing 177 citizens, and wounding about 1,400 others, and destroyed many homes, infrastructure in addition to public and private enterprises. Thursday 6th December, in a new briefing note, Beyond Ceasefire: Ending the Blockade of Gaza, Oxfam outlines concrete, specific measures that the international community and Government of Israel should take to finally bring an end to the five-year-old blockade that has devastated Gaza's farming and fishing industries, shut down nearly 60 percent of Gaza's businesses, cost billions in trade, and pushed 80 percent of Gaza's people into an unsustainable reliance on humanitarian aid. Oxfam's Country Director Nishant Pandey said, "The international community can no longer accept the abnormality of blockade as a fact of life in Gaza. The current negotiations between Hamas and the Government of Israel represent an unprecedented opportunity—people in Gaza need more than ceasefire, they need an end to the blockade for good." Oxfam's Head of Policy for the Occupied Palestinian Territory and Israel Martin Hartberg said, "Oxfam has been working for the past five years to help improve the lives of Palestinians in Gaza, but as long as the blockade remains in place we are stuck using buckets to bail out a sinking ship." "It is up to Israeli, Palestinian, and world leaders to make the lasting changes people need. In addition to a complete cessation of violence by both sides, Palestinians in Gaza should be allowed to securely move between Gaza and the West Bank, build trade networks, and reduce dependence on international aid. So long as Palestinians in Gaza remain isolated, the prospects of peace for Israelis and Palestinians remain distant and the chances for economic recovery in Gaza ever more remote." During the recent Israeli offensive on the Gaza Strip, Operation Pillar of Defence (14 – 21 November 2012), Israeli Air Force targeted various media offices in a number of attacks, causing the deaths of at least 2 journalists and the injury of 10 others. At approximately 01:35 on Sunday, 18 November 2012, Israeli warplanes fired 4 missiles at the office of al-Quds Satellite Channel, which is located on the top floor of the 11-storey Shawa and Hussari media tower building in Gaza City. The missiles penetrated the roof of the building and exploded inside the office. Due to this attack a journalist's leg was amputated. Another incident happened at approximately 06:55 on Sunday, 18 November 2012, in which an Israeli warplane targeted the 15-storey al Shorouq tower, in western Gaza City. Various media offices including Fox News, Abu Dhabi Satellite Channel, Dubai Channel, al Arabiya News Channel, MBC, and Palestine Media Production are located in this tower. Israeli air forces fired one missile at the office of the al Aqsa Television located on the top floor of the tower. Mazen Naeem, Mohammed al Sharafi, and Mohammed Al Mubayidh, three journalists who work with the Palestine Media Production, were injured in the attack. Mazen Naem, 26, recalls the incident: "At around 6:55 am, my colleague, Mohammad al Sharafi, and I were preparing to do a live interview from the street right outside the al Shorouq tower. While we were doing sound tests, we heard a very loud explosion. Initially, I did not realize where the sound came from and, just as we both were thinking about taking shelter, somewhere nearby different objects, like pieces of glass from the windows and some boxes, fell on our heads from above. That is when I understood that the media tower had been attacked. When I tried to look up to see which floor was hit, something hit my right eye and, as a reaction, I covered it with my hands. Mohammad's right knee was injured as a heavy object fell on it. Luckily, we were wearing helmets and vests, because of which we were not injured very badly. We were taken by surprise as we had not received any warning about that attack." Mazen further describes the incident , saying, "Immediately after this happened, we ran across the street and took shelter nearby. During this time, some passers and onlookers surrounded the place to see what had happened. Within just three minutes of the attack I heard another very loud explosion, but I could not see where this attack had taken place. We both were very worried about our colleagues and other people in the building, as we did not know if they were alive. I later learned that another one of my colleagues, Mohammed Al Mubayidh, who was on the 15th floor at the time of the attack was injured by an 8 mm piece of glass that hit his leg." "A few minutes later, ambulances and fire fighters arrived at the spot. They started evacuating people who were trapped inside the building, although the fire fighters could not extinguish the fire on the 15th floor in time because they too had to help people get out of the building. The ambulances took my colleagues and other injured to the nearby al Shifa hospital, whereas I went to the eye hospital in Nassar in a taxi. I was treated as soon as I reached the eye hospital. They cleaned my eye, and extracted the smaller particles that had entered it during the explosion. Luckily, it wasn't anything serious. They applied some medicinal liquid on my eye, and I continued with this treatment for the next 7 days or so." Mohammed al Sharafi described his experience: "We were outside the media tower when the attack happened and some pieces of the debris fell on me, injuring my knee. The doctors at al Shifa hospital took an X-ray of my leg and treated me. They described my injury as a minor one, but I was limping for several days due to the injury." Mohammed al Mubayidh said: "After the attack on the media tower, we relocated to the Beach Hotel. We rented their hall and continued working from there. But, during the offensive, another airstrike hit the land adjacent to the hotel and another colleague of ours, Akram al Sattari, was injured in that explosion." Abdelghani Jaber, the chairman of Palestine Media Production, said that, "It was a difficult time as I could not ensure the safety of my own staff. Very honestly, no one could have ensured anyone's safety at any point during those eight days." Mazen spoke about the issue of protection for journalists, saying: "I was told that journalists are protected by the Geneva Conventions, and that such things do not happen to us because we just do our reporting work, but looking at how the incidents occurred I feel as if in a situation like this there is nothing in the law that can protect anyone." Under Article 79 of the First Additional Protocol to the Geneva Conventions, journalists engaged in dangerous professional missions in areas of armed conflict are to be considered as civilians and they enjoy the general protection against dangers arising from military operation. The ICRC has identified this principle as a rule of customary international humanitarian law, which is applicable to every party to every armed conflict. International Humanitarian Law prohibits an attack which may be expected to cause incidental loss of civilian life, injury to civilians, damage to civilian objects, or a combination thereof, which would be excessive in relation to the concrete and direct military advantage anticipated. An Israeli airstrike that killed 12 civilians -- the largest number of civilians killed in a single attack during the Gaza fighting in November -- was a clear violation of the laws of war. The Husam Society for Detainees and Ex-detainees reported that Israeli soldiers subjected wives and mothers of Palestinian detainees to illegal strip search before they visited their detained family members on Monday. The society stated that female soldiers of the Israeli army humiliated the visiting female relatives of Palestinian detainee conducting their first visit to their loves one since the latest war on Gaza had ended. In sworn testimonies to the Society, the families said that mothers of wives of dozens of detainees were taken to special rooms and were demanded to remove all of their clothes, and when they refused, they were told that they will be sent home without visiting their detained family members. In tears and agony, they submitted to the illegal search so that they can visit their detained loved ones, the Husam society said. The families stated that they were humiliated and made fun of, adding that they have never seen such extent of cruelty before, despite the fact that this is not the first time they had to undergo such illegal searches. They complained to the Red Cross representative who accompanied them, but he said that he has no authority to prevent the army from conducting these searches, an issue that pushed the families to criticize the Red Cross, and its unconvincing response to such a grave violation. Husam said that the Israeli occupation deliberately humiliates the families as an act of revenge due to Israel’s defeat it its recent war on Gaza, and demanded the International Community to intervene and stop the Israeli violations. The Palestinian Ministry of Health in the Gaza Strip reported that 191 Palestinians, including children, women and elderly, have been killed by Israeli military fire in Gaza in November, and that the number of injured Palestinians in the same month stands at 1492. The Health Information Center of the Ministry reported that 48 children, including 16 under the age of five, have been killed by Israeli missiles and shells, in addition to 12 women and 20 elderly. The Center added that 1492 Palestinians, including 533 children (195 under the age of 5), 254 women and 103 elderly have been injured by Israeli fire and shells. Furthermore, four Palestinians have been killed after the ceasefire agreement was reached, and 54 have been injured. The report revealed that %42 of the slain Palestinians were killed in the northern part of the Gaza Strip, %24 in central Gaza, %16 in northern Gaza, and %11 in Rafah ad %7 in Khan Younis districts, in the southern part of the Gaza Strip. The recent Israeli war on Gaza lasted for around eight days and ended with a ceasefire agreement mediated by Egypt and some other countries. Similar to previous wars that led to hundreds of casualties, the army bombarded homes, medical centers, civilian facilities and even media centers. GAZA, (PIC)-- The Palestinian center for human rights said the Israeli navy has kidnapped 29 fishermen, 14 of them on Saturday morning, and destroyed and confiscated nine fishing boats since it signed a truce agreement with the resistance in Gaza. Released fisherman Ramez Baker, 41, told the center that on Saturday morning, December 2, 2012, he and his brother Rami were fishing on their boat along with three of their young cousins within a distance of three nautical miles off the coast of Gaza when the Israel naval forces hijacked their boat. "In the morning, an Israeli gunboat encircled us, and naval soldiers opened fire around us before forcing us to take off our clothes and jump into the water until reaching the gunboat," Baker said. "After a while, the soldiers detained me, my brother and my three cousins, took us to the port of Ashdod and interrogated us, but later they released us in the evening while our boat is still in custody,"
In another incident, an Israeli gunboat hijacked two fishing boats belonging to fishermen Sabri Bakr, 52, and Eid Bakr, 23, as they were fishing about two and a half nautical miles off the coast of Gaza city. The troops aboard the gunboat opened fire at the fishing boats damaging the boat engine of Eid Baker before they detained all the nine fishermen aboard the two boats. They also confiscated the two boats and questioned the fishermen, but later they released only eight of them and kept fisherman Ammar Baker, 33, in detention, according to the Palestinian center for human rights. The center condemned Israel for its persistence in attacking the Gazan fishermen despite its pledge to allow them to fish within a distance of six nautical miles according to its truce agreement with the resistance in Gaza. It appealed to the international community and the high contracting parties to the fourth Geneva convention of 1949 to intervene immediately to end Israel's violations against the Gazan fishermen and protect their right to fish freely in Gaza waters. GAZA, (PIC)-- An official report revealed that the Israeli occupation forces committed during the month of November 68 violations against the Palestinian journalists and media workers in the Palestinian territories. The Government Information Office explained, in a report on Sunday, that the most prominent Israeli violations took place during the aggression on the Gaza Strip, drawing attention to the targeting of journalists and media workers and their offices and their direct channels. The report added that the occupation killed three journalists, Hossam Salama and Mahmoud al-Komi, photographers for Al Aqsa Channel, in addition to the journalist Mohammed Abu Eisha, who works as director of programs at one of the local radio stations. The report indicated that dozens of journalists received injuries with various degrees of seriousness by Israeli attacks, pointing out to the case of Khader al-Zahar, a cameraman with al-Quds TV, who lost his right leg when Israeli warplanes bombarded the channel's office in Gaza City with three missiles. The Government Information Office accused the Israeli forces of targeting deliberately journalists and their offices, pointing out to bombing al-Aqsa TV headquarters in addition to dozens of press and media offices. The report also pointed out to the arrest cases of journalists in the West Bank during covering the events involving the occupation forces, in addition to two attacks committed by the PA security services. GAZA, (PIC)-- A survey conducted by the UNICEF showed that the recent Israeli war on the Gaza Strip affected the psychological health of children very badly. According to the preliminary results of the survey, the Gazan children suffer from different psychological traumas caused by the Israeli aerial and artillery attacks during the war such as bouts of anger and fears, difficulty focusing and other related problems. The survey also found out that more than 90 percent of the Gazan children are afraid of loud sounds that resemble the ones caused by explosions during raids, while about 60 percent under age 12 suffer from nightmares during their sleep. The age group from 13 to 17 also suffers from the same sound and dream problems, the survey added. UNICEF spokeswoman Marixie Mercado said the survey results were obtained after conducting meetings on 24 and 25 November with 545 Palestinian children in Gaza, nearly half of them were male. RAMALLAH, (PIC)-- A Palestinian human rights report stated that the Israeli occupation forces had detained about 621 Palestinians in November during arrest campaigns launched in the West Bank and the Gaza Strip. According to the report issued by the Ahrar Center for the Studies of prisoners and human rights, 621 Palestinians have been arrested during the month of November, including 51 from the Gaza Strip, while the rest of arrests mainly took place in the occupied West Bank's towns and cities, and included the arrest of 6 MPs. The report, issued on Friday, monitored the arrest of five Palestinian women in the West Bank, three of whom were released while the remaining two are still held in custody. The IOF also arrested a Jordanian citizen on the Bridge of "King Hussein" while on his way to visit his relatives in the West Bank, the report added. According to the data, most of the arrests during this month took place in the city of Nablus in the northern West Bank, where the IOF arrested 112 citizens. Palestinian prisoners' center for studies stated, in its monthly report about the arrests and the prison conditions, that the occupation escalated during the last month the arrests against Palestinians across the West Bank, Jerusalem and the Gaza Strip. The center monitored over 300 raids into the villages, cities and refugee camps, during which the IOF detained more than 650 Palestinian citizens, including 85 children and 7 women, and 15 other citizens from the Gaza Strip, including 12 fishermen. The IOF also re-arrested six MPs and two leaders in Islamic Jihad, who have launched hunger strike immediately after their arrest as they have been held in administrative detention. AL-KHALIL, (PIC)-- The Israeli occupation authorities (IOA) barred the travel of 99 Palestinian West Bankers via the Karame crossing with Jordan. A report on Saturday issued by the PA crossings authority said that the IOA blocked the travel of 99 Palestinian citizens in the past month of November for “security reasons”. It said that the Karame crossing is the only outlet for West Bankers to the outside world. The authority noted that 100 thousand Palestinians moved in and out of the Karame crossing in November.